you have a limited budget but want a brand now! Want to look profesh, but time poor and frustrated trying to work out if your designs are any good? Then let me introduce you to Create in Canva with Confidence! Maybe you’re just starting out and stuck at the first hurdle with no idea how to create any graphics for your business and all you want to do is just get started? GRRRRRRR – it’s so frustrating right? I promise, after just one week with Create in Canva with Confidence, you’ll be designing ebooks and workbooks. You’ll be font matching with ease, designing professional mockups, creating Facebook Ads, using all the tools without any effort whilst designing your social media posts – and if that’s not enough you might even be designing your own logo – which I show you how to do in Canva too! 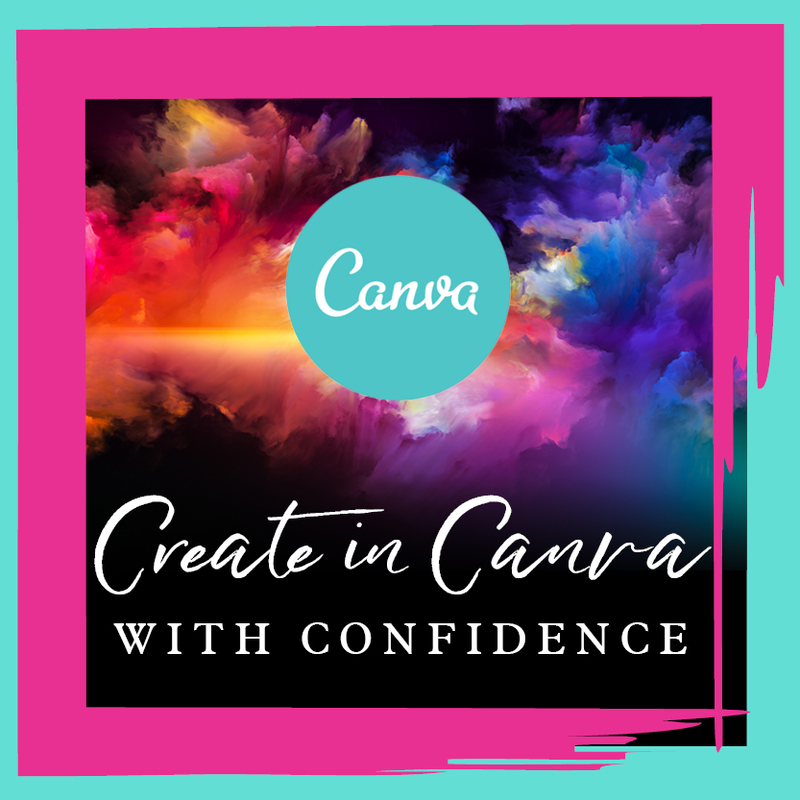 Create in Canva with Confidence is a clear, concise and easy to follow course that will get you quick results, keeping you engaged and excited about developing your design skills for months to come. All this in less than a week! This is gonna save you sooooo much time! And if you don’t take control of your time that it’s currently taking you to create your designs, then will you still be here this time 3 months from now? Let’s get you unstuck, NOW. No more wasting stacks of time, no more results that you simply aren’t happy with, no more design frustrations (and constipation) JUST GORGEOUS IMAGES, IN YOUR CONTROL, CREATED BY YOU. This Canva course really is packed full of great tips and full of bonuses that will have you creating in Canva with Confidence. Online course full of walk through tutorials, lessons and workbooks. I update the course when there are any Canva updates so the course will always be fresh. SIGN ME UP TODAY FOR ONLY £39!